This in an original racing Ordinary, a rare beast. 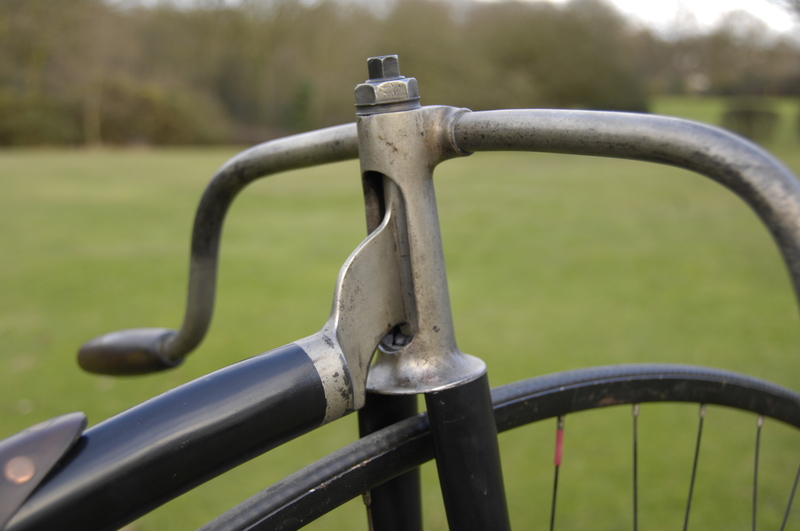 Designed only for racing on smooth surfaced velodromes, the opinion has been put forward that these machines were so light and highly stressed that they were scrapped at the end of each season, and certainly if they were damaged. The reason for this is their very light and pared-down construction. The tyres are only half an inch (12mm) in diameter, making a huge saving in weight. There is no brake, mounting step or saddle spring. 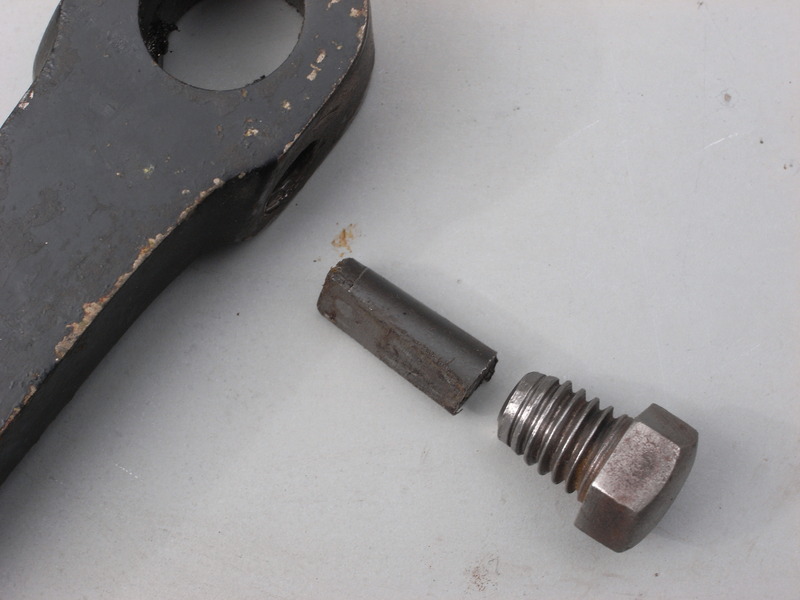 A brake was not necessary as in track racing today, whilst a mounting stool was used for getting onto the bike. 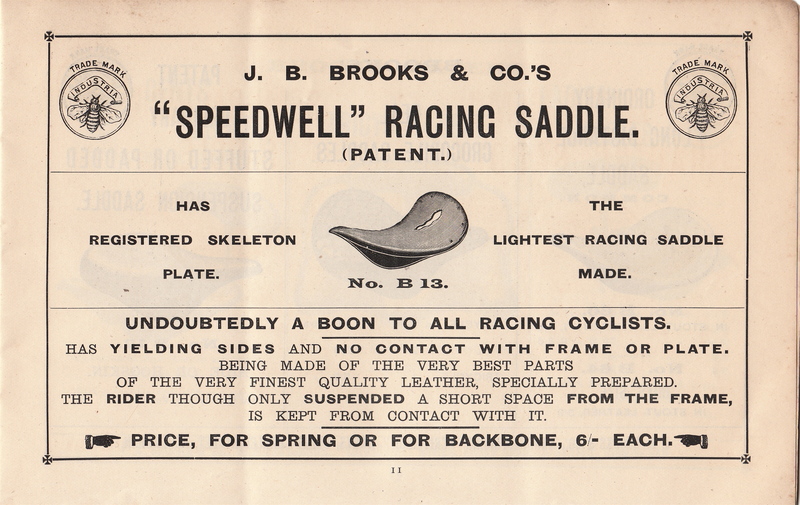 The racing pan saddle is mounted directly onto the backbone meaning that a larger machine can be ridden than usual as there is no additional height factor provided by a spring, also much lighter. The backbone is made of ultra thin oval tubing and the forks are ‘bellied’, wider in the middle than both ends. 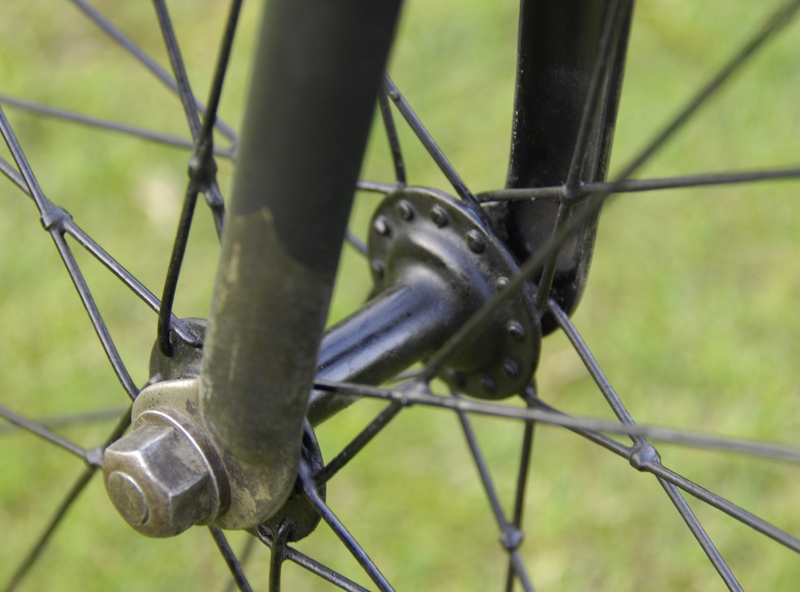 Hubs are very skimpy affairs and the spokes are very fine gauge, tied and soldered at every cross. 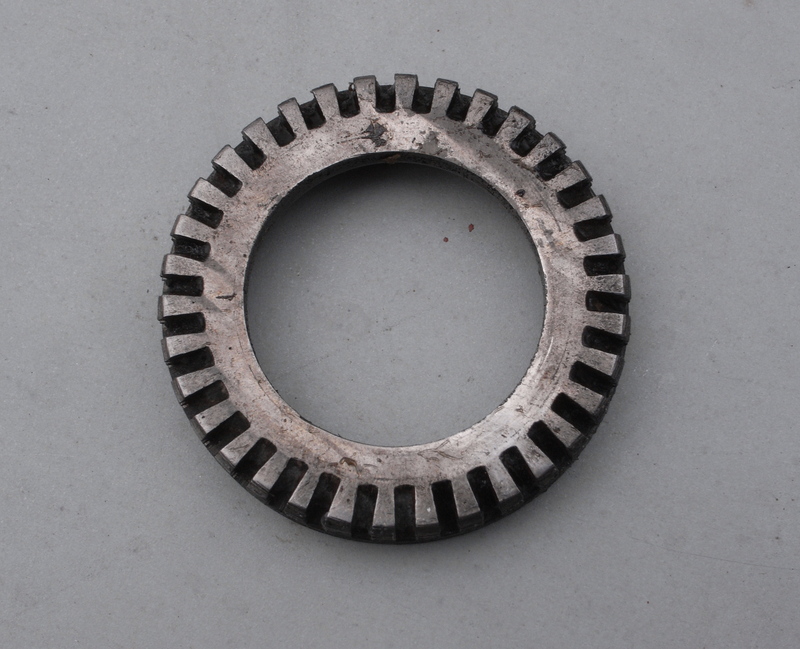 Unusually, this Ordinary has a ‘Trigwell’ pattern head with ball bearings top and bottom. The result is a very light machine at about 22 lbs or 10 Kgs, about as low as you can go for a huge 58 inch wheel. This is about half the weight of a road going Ordinary! 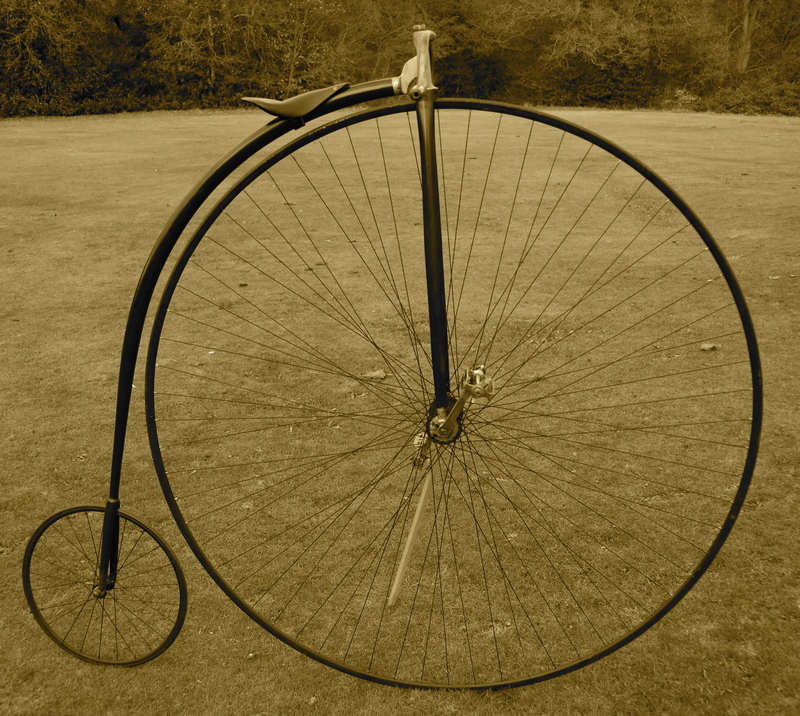 I date it at around 1889, very late on in the development of the Ordinary and close to the end of their participation in racing, as the safety bicycle took over. I made the saddle cover, which might look a bit strange, but the flipped up back is typical of saddles on racing Ordinaries, giving the rider something to push against. This bike is quite intimidating to ride. 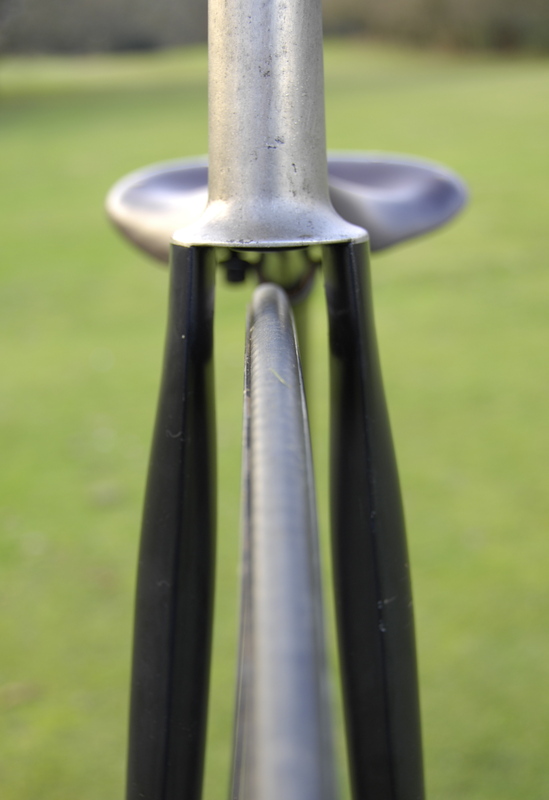 When I rode it at Herne Hill friends told me that they could see the backbone flexing with every pedal stroke. It is very twitchy and it also feels to me like the rear wheel lifts from the ground at times when sprinting! These days I prefer to admire it rather than ride it. When I bought it, it was completely powder-coated… something which I think is criminal on veteran bikes. I carefully removed the coating and was amazed to find that the original nickel plating was still there on the handlebars, head and front and rear fork ends. 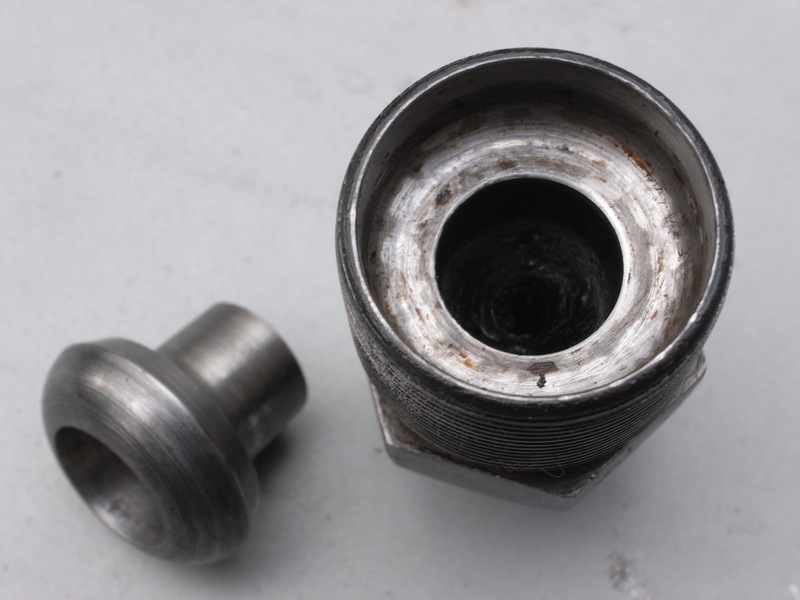 The bearing adjusters are beautifully engineered (see detail photo), the casings being brazed into the fork ends. 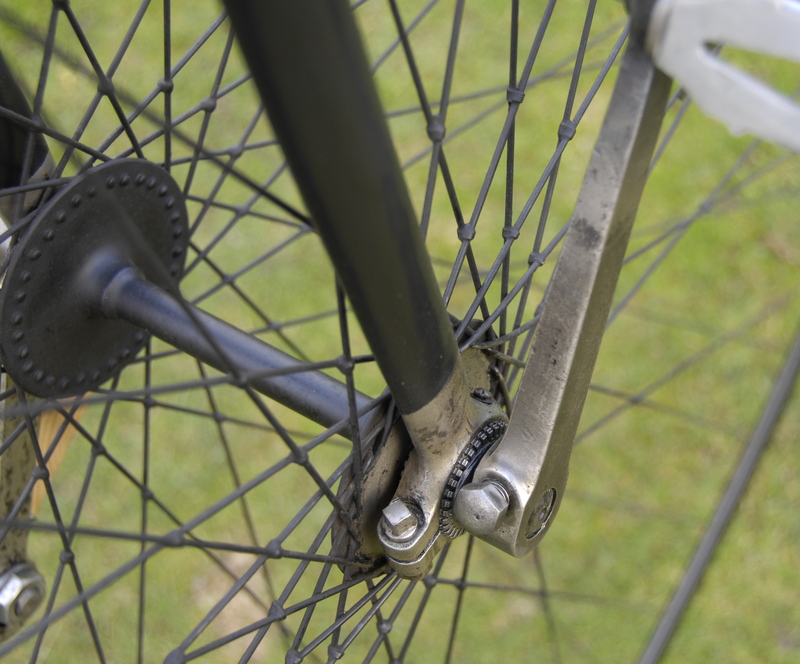 The cranks are unusually held on by short cotter pins held in place by a hex head screw. Handlebar grips are horn. The bike has non original but correct pattern pedals, and a new leather cover to the saddle. Apart from that, and the new paint, it is original.